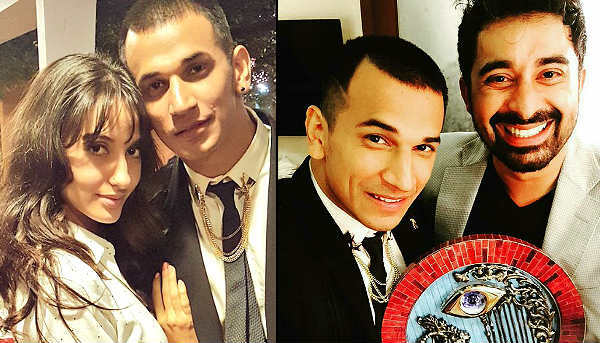 The 'prince' of TV reality shows, Prince Narula, who won Bigg Boss Nau -- his third victory after MTV Roadies X2 and MTV Splitsvilla 8 in the genre -- has his eyes set on acting in fiction-based TV shows and films. According to him, he already has two shows in his kitty. to act in films and TV. Before coming to Bigg Boss, I was going through the script of two new shows. I had also signed them, but because of Bigg Boss I was not able to start shooting for them. So, now soon I'll start working on them. I can't reveal much about the two shows. But yes they are fictional ones and will show me as an actor for the first time onscreen. Their shooting will begin soon. Working in films has been my dream. I would love to be a part of Bollywood. I consider Salman Khan, Shah Rukh Khan and Akshay Kumar as my acting idols. And through Bigg Boss Nau, I got to meet all three of them. It was great. I can't explain in words how I'm feeling after winning the show. I got to learn a lot of things. Though winning is not a new thing as I have won two other shows earlier, but this one was really special. I got to make a lot of friends like Rishabh Sinha. But I feel that Mandana Karimi was the most fake person in the show. I tried being good with her but it didn't work out well. Nonetheless, we all had great fun. I have won Rs.35 lakh, out of which I have donated Rs.5,00,000 to Salman sir's Being Human. The rest I'll give to my father and let him decide what he wants to do with the money. I performed almost every task. I just tried to be genuine. Also, my Roadies experience helped me in many tasks. We once again congratulate Prince! Emotional scenes from final episode of Comedy Nights With Kapil chopped off by channel. But, why?